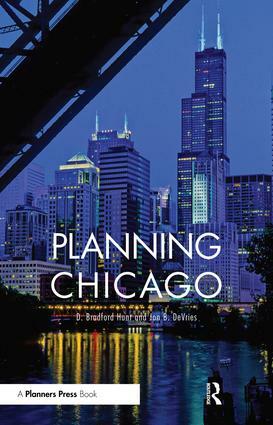 In this volume the authors tell the real stories of the planners, politicians, and everyday people who shaped contemporary Chicago, starting in 1958, early in the Richard J. Daley era. Over the ensuing decades, planning did much to develop the Loop, protect Chicago’s famous lakefront, and encourage industrial growth and neighborhood development in the face of national trends that savaged other cities. But planning also failed some of Chicago’s communities and did too little for others. The Second City is no longer defined by its past and its myths but by the nature of its emerging postindustrial future. This volume looks beyond Burnham’s giant shadow to see the sprawl and scramble of a city always on the make. This isn’t the way other history books tell the story. But it’s the Chicago way. D. Bradford Hunt is Vice President for Research and Academic Programs at the Newberry Library. Jon B. DeVries was founding director of the Marshall Bennett Institute of Real Estate at Roosevelt University in Chicago, (2002-2017).